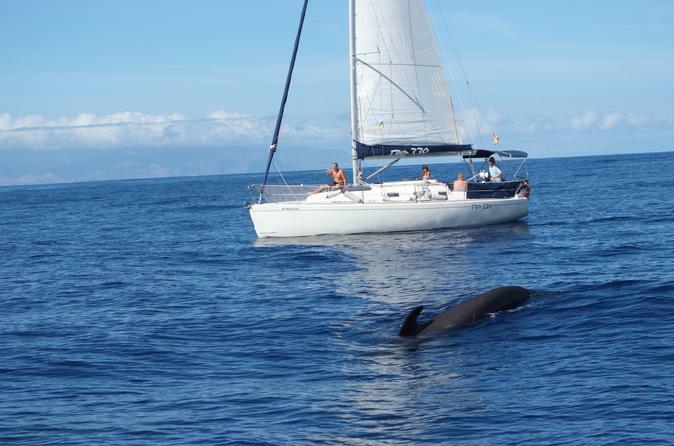 Go in search of whales and dolphins in the waters of Tenerife on a small-group luxury sailing tour limited to 11 people. On board the yacht, enjoy provided sandwiches and drinks, and stop for swimming and snorkeling. Hotel pickup and drop-off is included. 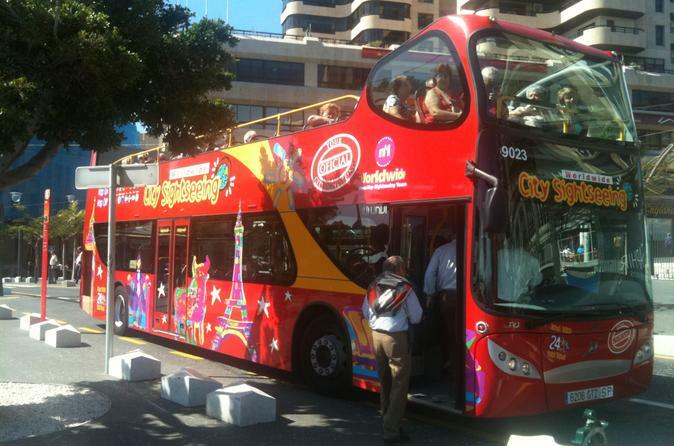 Explore Santa Cruz de Tenerife, the capital of the Canary Islands, on this City Sightseeing hop-on hop-off bus tour. Board the open-top, double-decker buses and discover the area’s main attractions, including Plaza de España, the largest square in town and the starting point of the hop-on hop-off tours, Castillo de San Juan (Castle of John Baptist), the Auditorio de Tenerife (Auditorium of Tenerife), the Museo de la Naturaleza y el Hombre (Natural Science and Archaeology Museum) and the Iglesia de Nuestra Señora de la Concepción (Church of the Immaculate Conception). Hop on and hop off as many times as you like at the 11 conveniently located stops around the city. 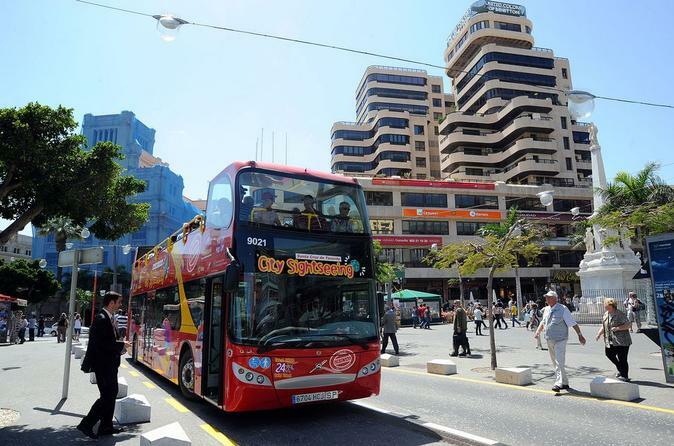 While in port in Santa Cruz de Tenerife, discover the capital of the Canary Islands on this City Sightseeing hop-on hop-off bus tour. Traveling by open-top, double-decker bus, visit the area’s main attractions including Plaza de España, Castillo de San Juan (Castle of John Baptist), the Auditorio de Tenerife (Auditorium of Tenerife), the Museo de la Naturaleza y el Hombre (Natural Science and Archaeology Museum) and the Iglesia de Nuestra Señora de la Concepción (Church of the Immaculate Conception). Learn about the city’s interesting history from the onboard audio commentary and hop on and hop off at any of the 11 stops to explore at independently. 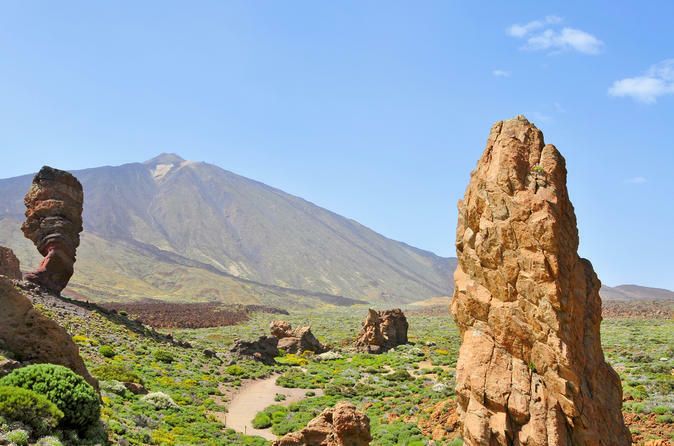 Leave the beaches behind and enjoy a full-day shore excursion exploring beautiful Teide National Park with a private guide! 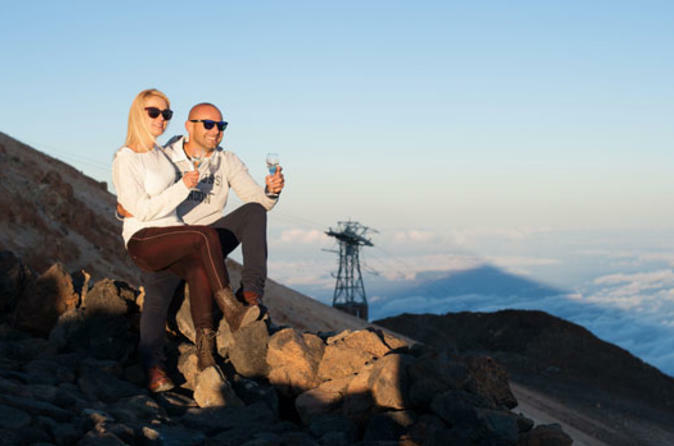 Admire some of the inland’s most stunning scenery on a journey through the lava-filled landscapes of La Esperanza to the slopes of Mount Teide — one of Spain’s tallest volcanoes. Visit the summit by cable car, if you wish, and then walk around the area known as Las Cañadas, where enchanting rock formations have provided movie settings for ‘Clash of the Titans’ and more. Enjoy this beautiful thermal pool in the south of Tenerife. Enjoy 2.5 hours in the 1000m2 of thermal water with natural salt. 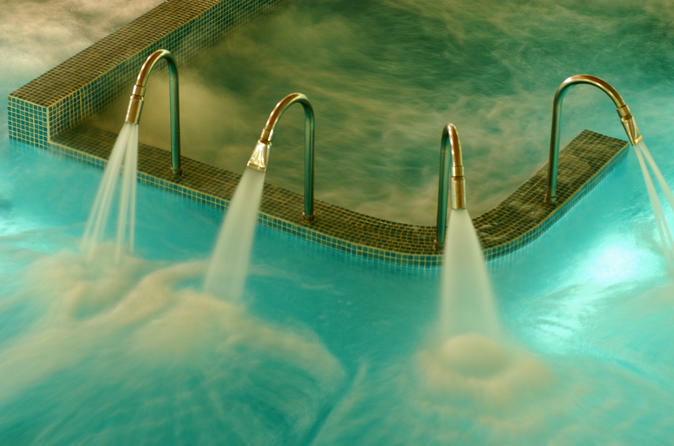 The Thermal Circuit hosts over 300 jets of different intensity, deep relaxation area, 2 high power Jacuzzi, toning pool, and floatarium (concentrated sea salt pool). There is also a shower temple including bucket and essential oils. Finnish sauna, Turkish bath are all included. Wonder at the sun and the twinkling night sky during this unforgettable 4-hour sunset and stargazing experience in Tenerife. Travel into the heart of the UNESCO-listed Teide National Park and ascend the volcanic slopes of Mt Teide. Sip sparkling wine as you watch the sky morph into breathtaking shades of red, yellow and pink. Then, savor a Canarian cocktail dinner before stargazing with an expert guide. Hotel pickup and drop-off included. 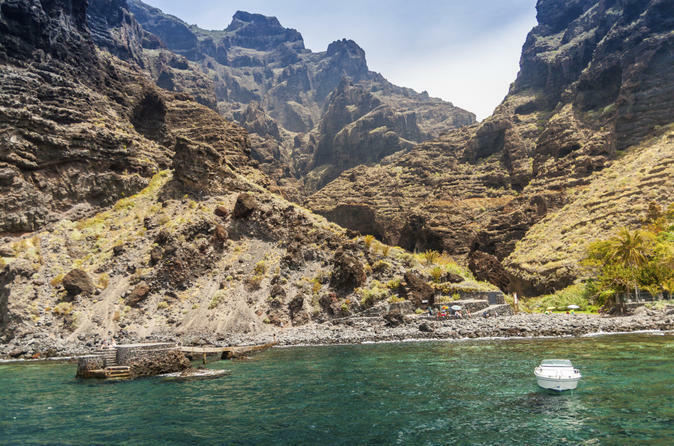 Tread in the footsteps of Christopher Columbus during this full-day excursion to La Gomera from Tenerife. 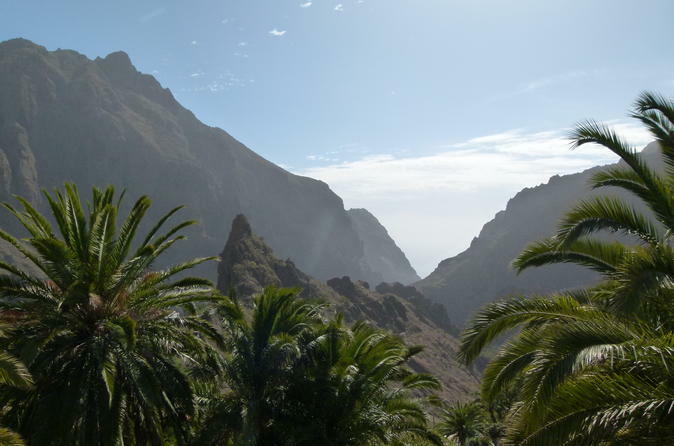 A picturesque Canary island, La Gomera was the last stop for Columbus before his departure for the New World. Follow a guide around the island’s scenic attractions including Garajonay National Park, the El Cedro forest, and the island’s capital, San Sebastian. Feast on a delicious lunch during the trip and enjoy roundtrip transportation from your hotel. 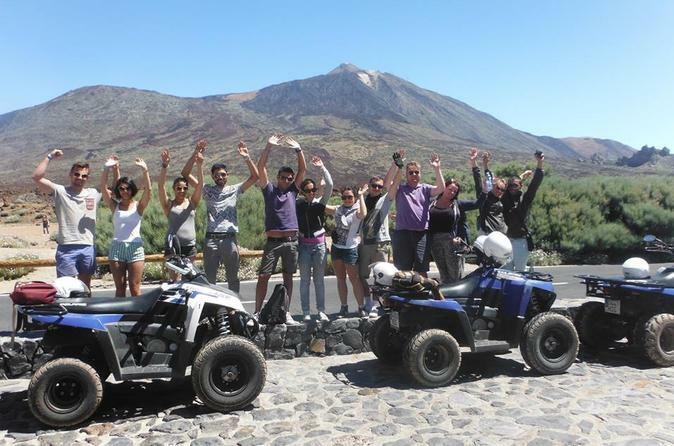 Cruise through Teide National Park on a 4-hour quad bike tour of the UNESCO World Heritage Site. Take in the views as you speed through the park, observing the diverse plants and animal life that Tenerife has to offer. 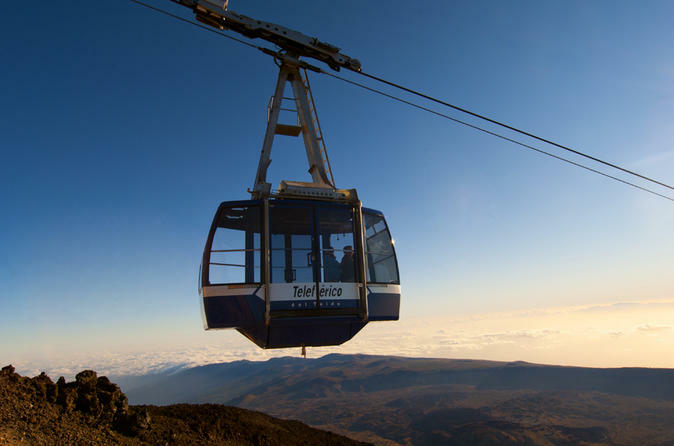 Travel through indigenous Canarian villages and over the summit of Mount Teide. Enjoy convenient hotel pickup and drop-off. Discover one of the most beautiful natural areas in Europe during this private shore excursion from Tenerife. Get picked up from your hotel or cruise terminal and head out to La Esperanza, a gorgeous forest of eucalyptus trees. 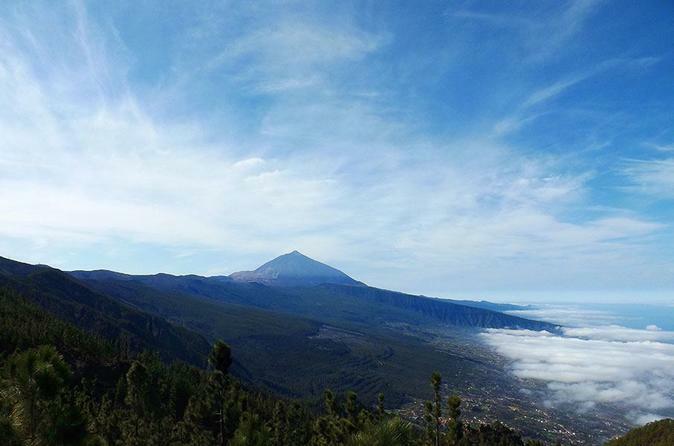 Then go to Teide National Park, known for its volcanic landscapes and rich history. Snorkel with sea turtles in El Puertito, shop for barraquito coffee, and see the rock formations of Roques de Garcia. This private tour features the best of the region’s land and sea attractions and includes roundtrip transportation to and from your hotel or port. 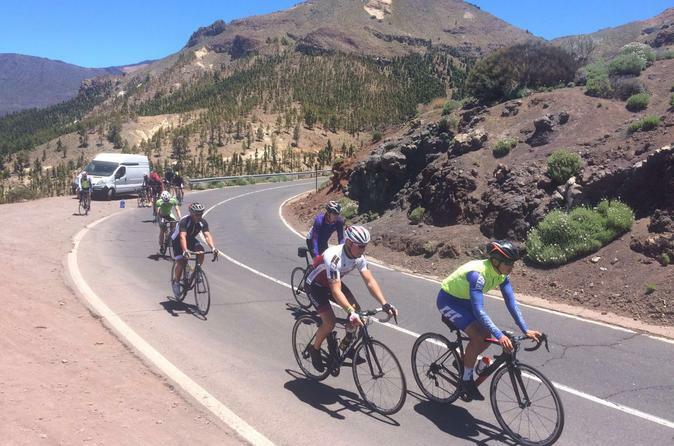 Ride to Spain's highest mountain 'El Teide' from the west side. 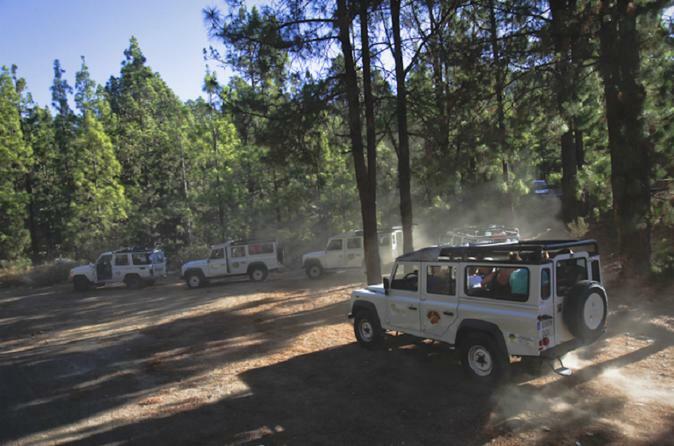 Climb through the island's pine tree forest, with spectacular views over the west side of Tenerife, whilst inhaling the fresh, thin air! 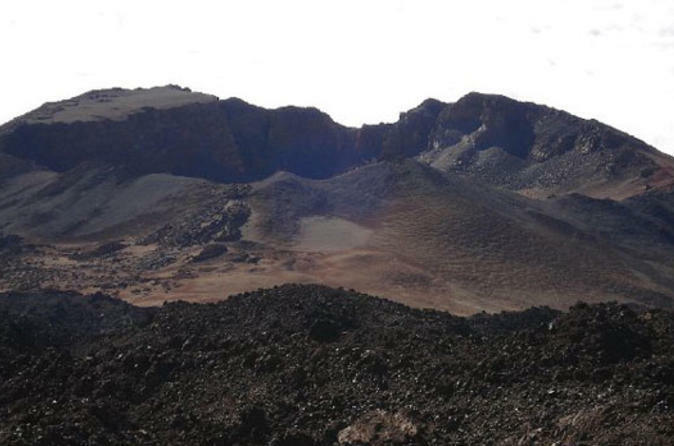 We will try to reach the highest point, at 2350 meters and pass the spectacular lunar-like volcanic landscape! This 2-hour guided visit will allow you to get to know the Observatory, and the daily activity of the researchers who work there, in an enjoyable way. Along with Chile and Hawaii, the Canary Islands are one of the three best spots in the world to observe the sky. 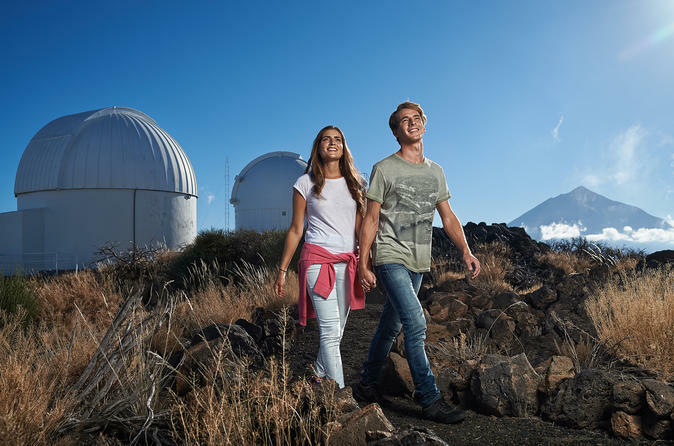 The Teide Observatory is the largest solar observatory in the world, and it is equipped with many solar and nocturnal telescopes owned by different European countries. 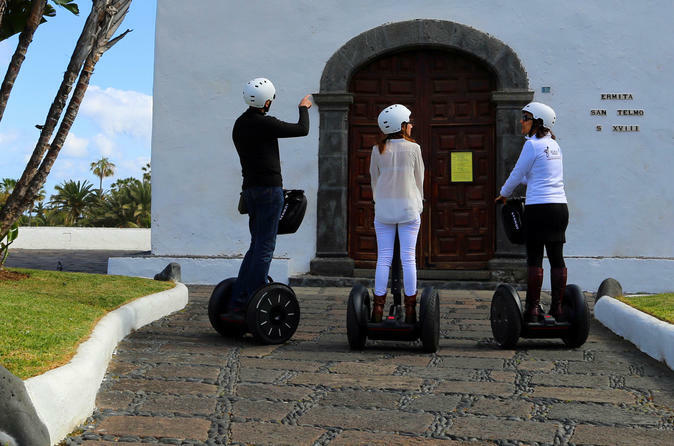 Ride through Puerto de la Cruz on an electric self-balancing on an original Segway. 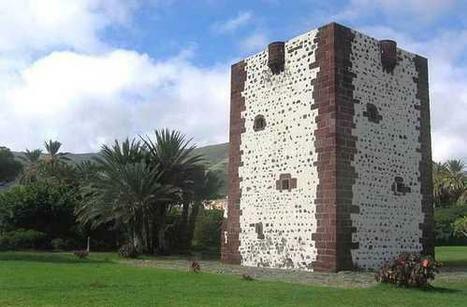 Enjoy this exciting tour where our qualified local guide will show you Puerto de la Cruz, its people and its history. Numbers are limited to six people per guide, ensuring a personalized experience with a small group. 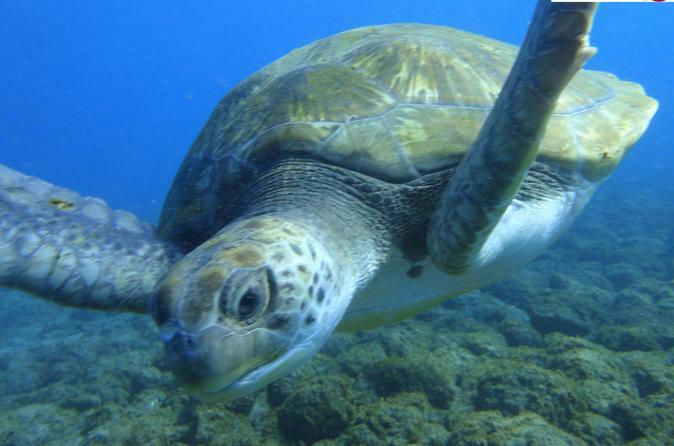 Discover in 3 hours of trip the fascinating sensation of swimming and snorkeling with turtles and school of fish in the magic waters of Tenerife. Ours expert instructors will follow you and give you all the useful information about the sea world in Playa de la Arena. Pictures of your experience included. 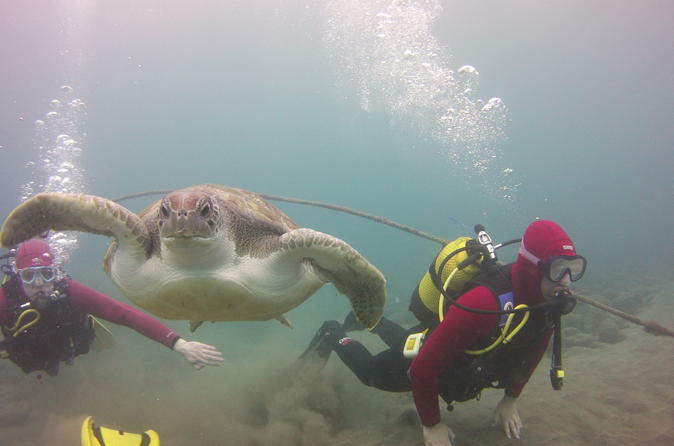 Dive in and discover the wonderful underwater world just off the shores of Tenerife. In crystal clear water you will see the abundant marine life and amazing volcanic rock formations surrounding the island. With a maximum student to instructor ratio of 2:1 will be in very safe hands as you experience your first breaths underwater. 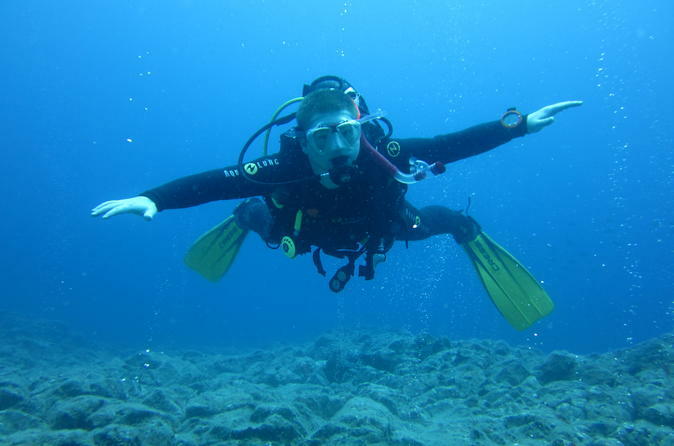 The first dive is to a maximum depth of 6 metres and, subject to the successful completion of a few elementary skills, subsequent dives can be to a depth of 12 metres. Enter a diver’s paradise on this 3 to 4-hour Scuba diving beginner's session in Costa Adeje. Tenerife’s warm, calm waters and year-round diving make it the perfect spot for your first dive. Swim amongst tropical fish, rays, and sea turtles. Your course includes a safety briefing, shallow-water practice of some simple skills, and a roughly 45-minute open water dive to a maximum depth of 39 feet (12 meters). Your personal dive instructor will remain close by your side throughout the course. 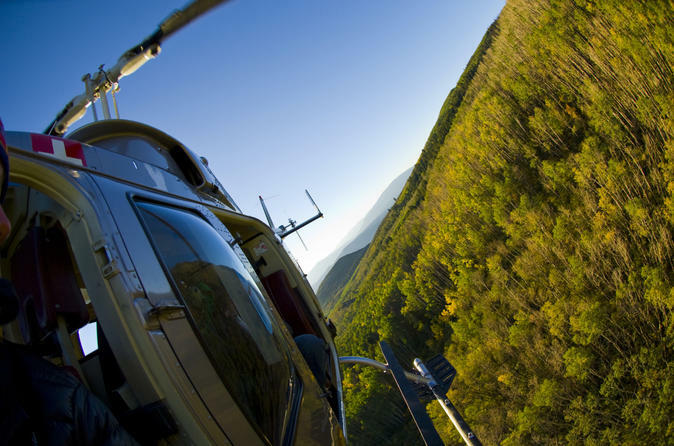 View southern Tenerife from above on a shared 10- or 15-minute helicopter flight! Aboard a comfortable 4-passenger helicopter, gaze down at Tenerife’s southern landscapes freckled with whitewashed villages and resorts. 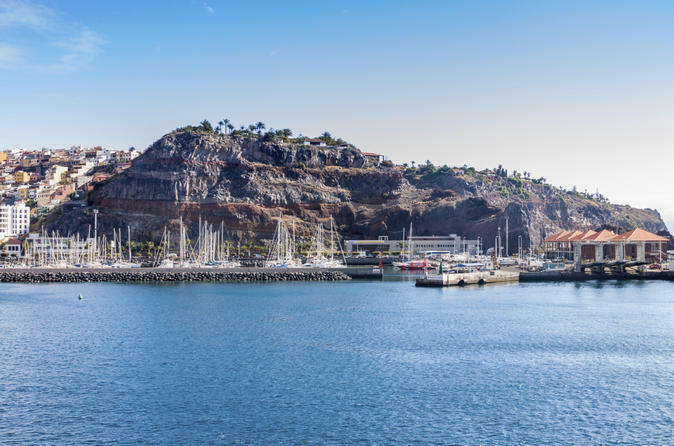 Choose the 10-minute south coast itinerary to soar over Playa de las Americas, Los Cristianos and Golf Costa Adeje golf course; or upgrade to the 15-minute itinerary to extend your flight and ogle the Barranco del Infierno ravine, Mt Teide National Park and other wonders. 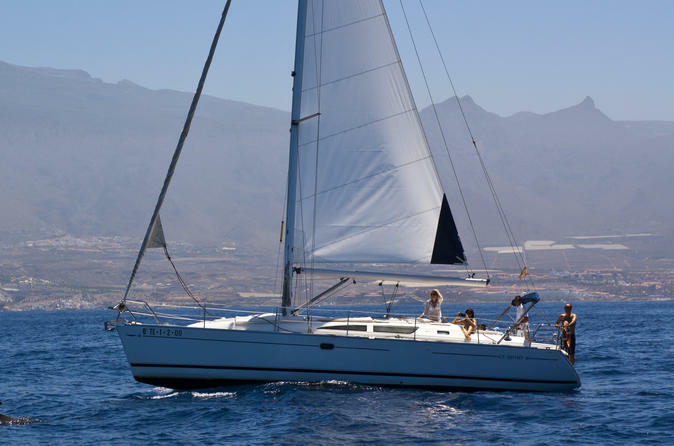 Round-trip transfers are included from hotels in the Cristianos to Callao Salvaje area or Los Gigantes. 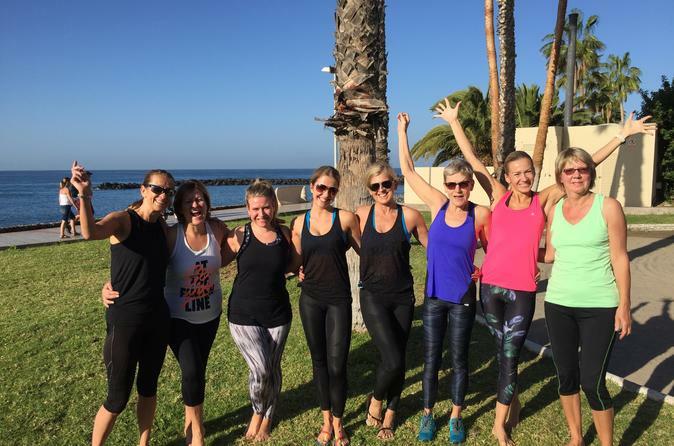 Let's start a morning with yoga, pilates or bodyART class in the grass near the most beautiful beach of the Tenerife island! The best way to stay in shape even during holidays.